This is Darby’s 2 yards wide Tractor/Plough, with Mr. Simpson driving it. 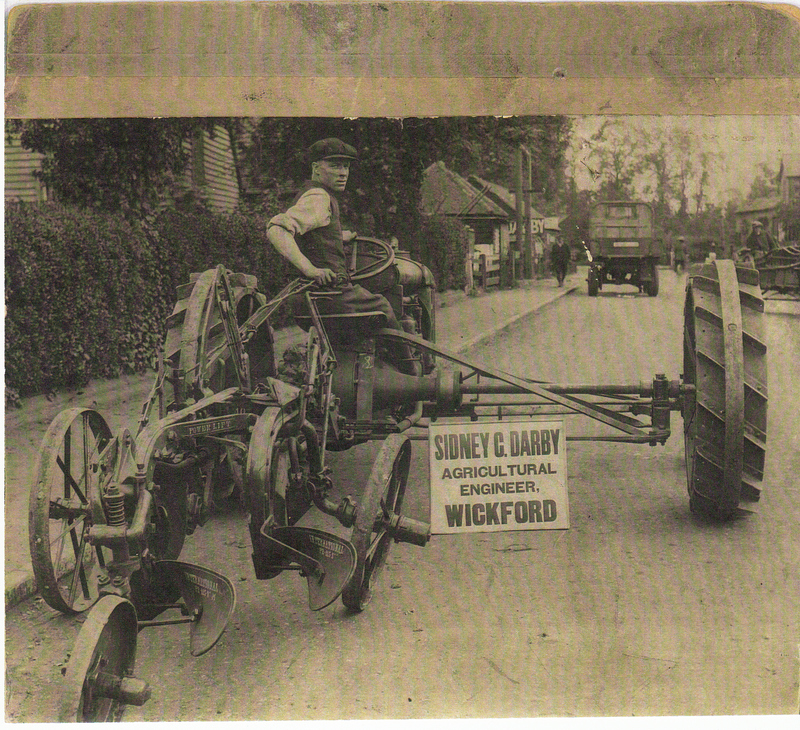 The picture of the Darby plough; it must have been taken on the Runwell Road. The driver was my uncle, Charlie Simpson. What the date would have been, I can’t say, as I only knew him as Franklin’s delivery driver, and then latterly going to work at Shell in Corringham, where his sons Alan, a welder, and Roy worked. Both Charlie and Roy worked there to retirement, but Alan left to set up his own business, as a welder and steel fabricator. He was always in great demand until he retired some years ago. He now lives in Danbury with his wife of many years, Maureen (nee Murphy) who had also worked at Darby’s in the offices.